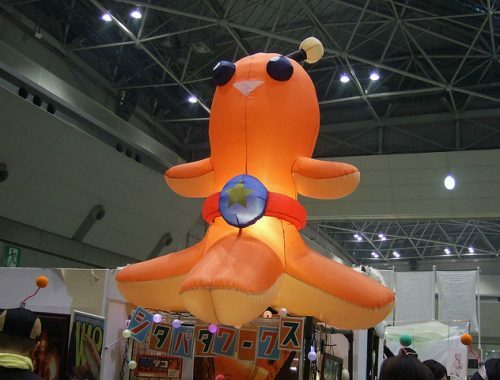 If you bought my Next Time in Japan zine, you’ll remember one of my picks was the Sky Tree. I love observatories and I wasn’t going to miss a chance to see my favourite city from a birds eye view. It was still being built last time we visited Japan so it was cool to see such a striking new addition to the familiar skyline. 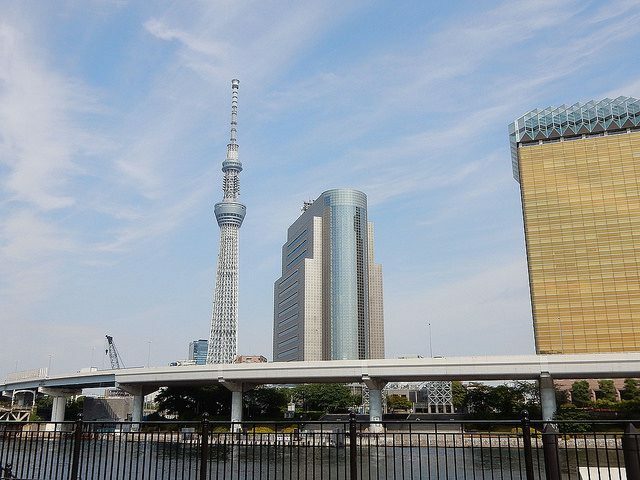 Unlike some tall buildings, the Sky Tree is quite beautiful and doesn’t look out of place. 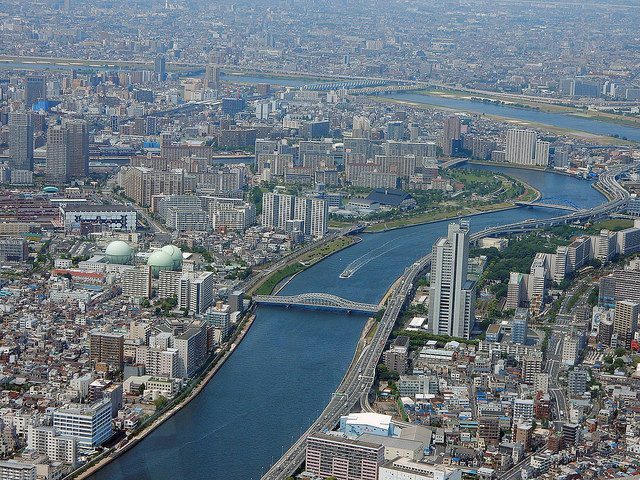 The Sky Tree is situated just across the river from Asakusa so you can get some great views of it there, whether or not you plan to visit. I turned up fairly early but there was still a long queue with a waiting time of an hour. The queue moves pretty quickly so just bring someone to talk to or something to read. Tickets are quite pricey – you start by paying ¥2060 (~ £14.50 / $18.50) to visit the general viewing area at 350m and then you can pay an additional ¥1030 (~ £7 / $9) fee to go to the highest floor at 450m. There are also new fast track tickets for tourists. Once you’ve got your ticket you get herded into one of the themed elevators and then you’re free to wander around for as long as you like. I went along on day 7 of my trip, which worked out well as I was familiar with the city layout again and could look out for places I’d already visited. 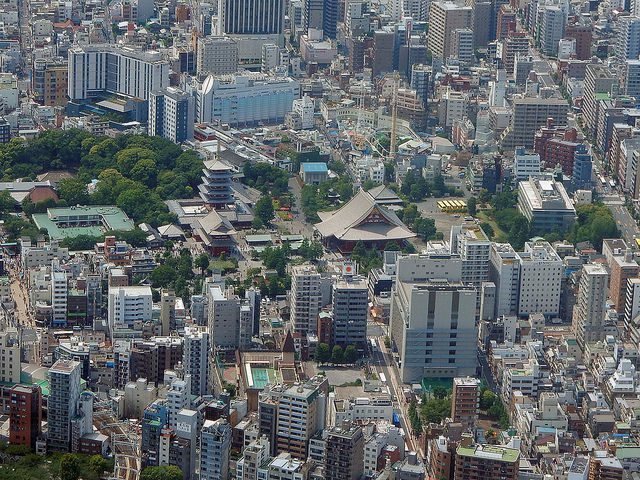 Look at tiny Senso-ji below with the amusement park behind. The main floor is the busiest with a lot of school and tour groups so I soon paid up to go to the top floor. I definitely recommend doing this as it’s much quieter there and you get even more amazing views. The first part is a spiral walkway with full length curved windows and it’s really cool to see the skyline changing as you walk. I stayed here for quite a while as the views are really quite staggering. 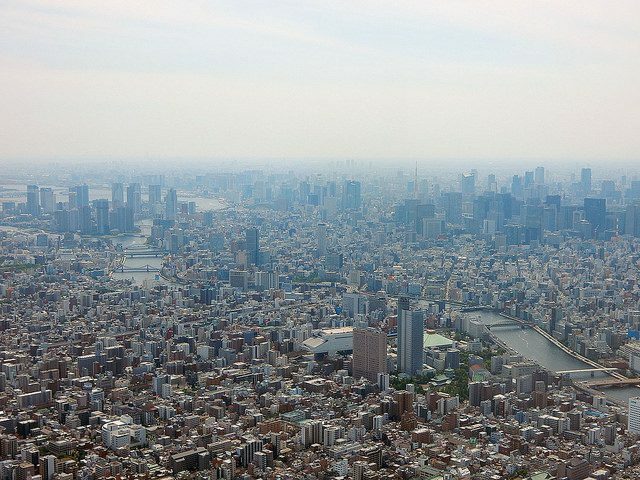 Even with the summer haze, you can see really far and the Sky Tree is in such a great position with views over the river and Tokyo Bay, plus you can see Fuji on clearer days. The worst part of my visit was trying to leave! Once back on the main floor, there were huge lines for the elevators and I ended up taking a break for lunch at the restaurant. 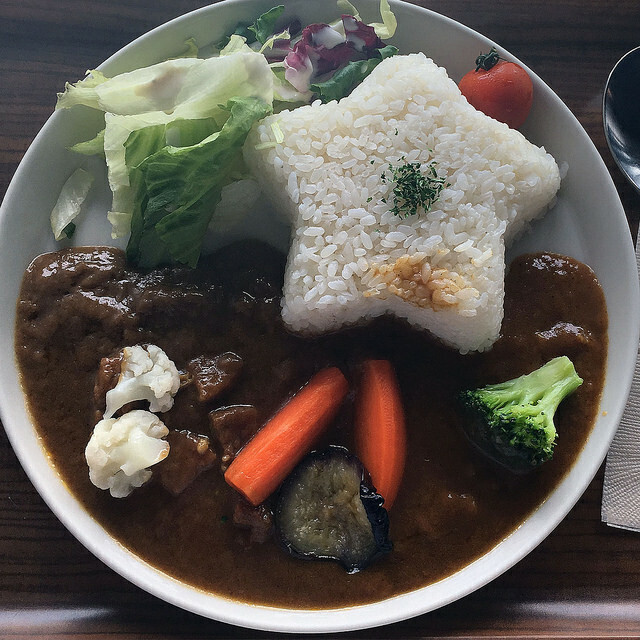 I got the Sky Tree curry which I was able to eat looking at the views some more. 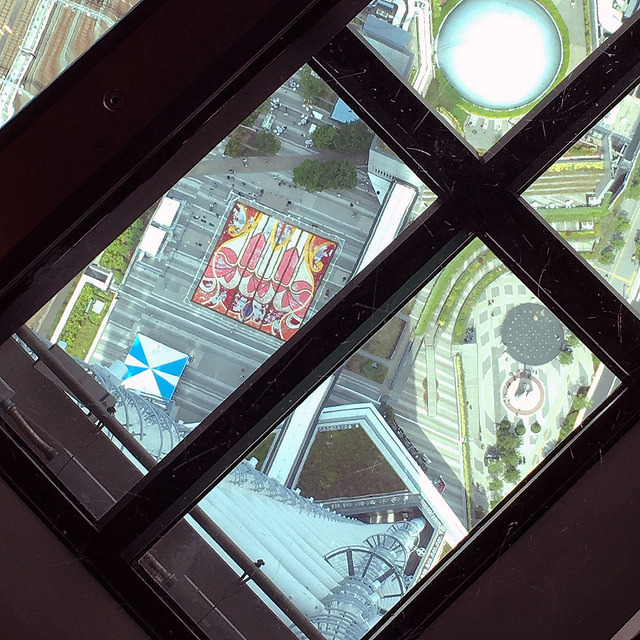 It was still very slow to get out after that, especially as I stopped to see the glass floor. You can stand on it to look directly down! I’m fine about heights when I’m indoors so I thought it was really cool but a lot of people freaked out when I posted this photo. The flower display you can see was actually made up of thousands of flower petals and only makes sense viewed from here. Once I finally got in the elevator, it deposited me at the gift shop, which is full of souvenirs of every type and price including the official mascots. 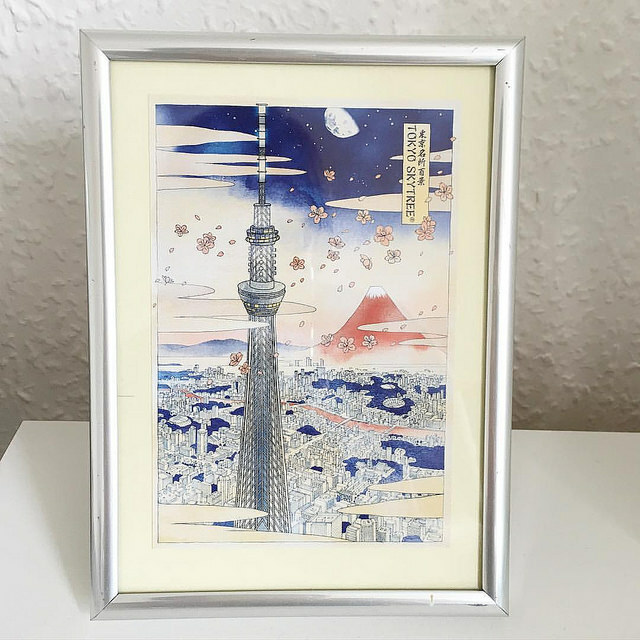 I picked up a few gifts and this ukiyo-e style postcard with the Sky Tree. After that, I headed over to the new Solamachi Sky Tree mall and will tell you about that next time. 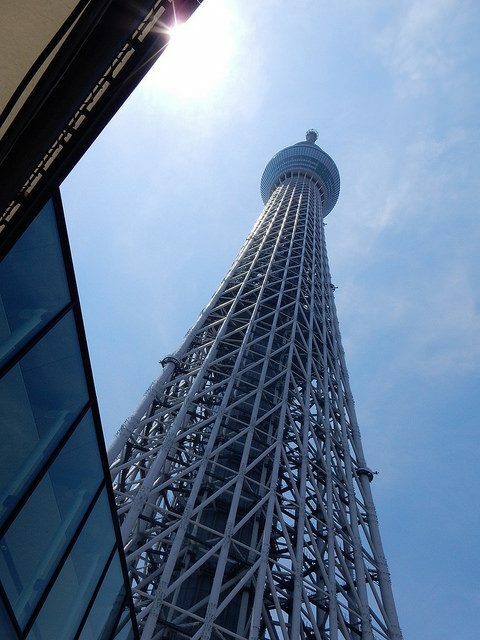 The Sky Tree has its own station, Tokyo Skytree Station, which is on the Tobu Isesaki Line from Asakusa. 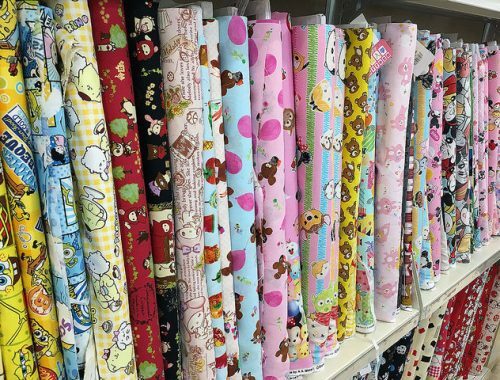 You can also take the subway to nearby Oshiage station on the Asakusa and Hanzomon subway lines. 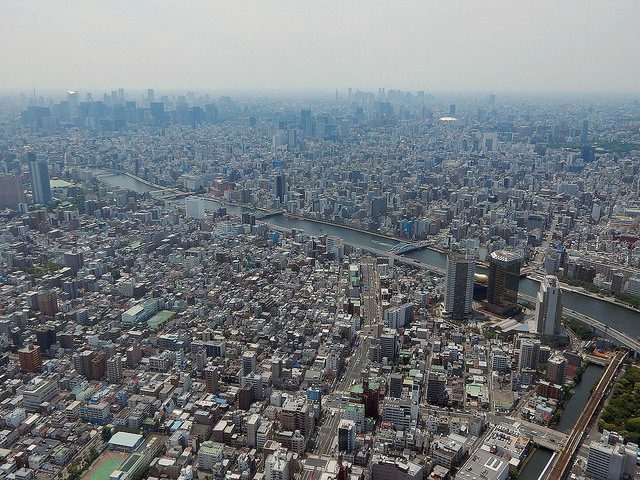 Alternatively, walk there from Asakusa and enjoy the views. 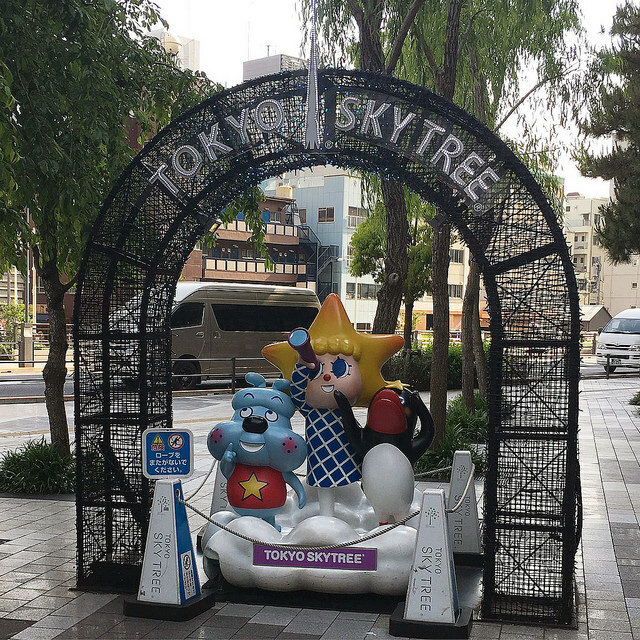 The Sky Tree entrance is part of the mall complex – head to the fourth floor and follow the signs.